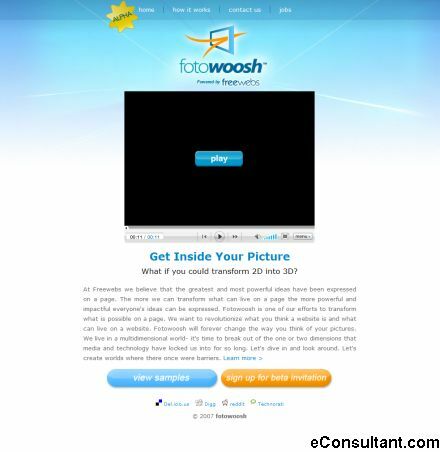 Description : fotowoosh is a web based system to convert 2D photos into 3D worlds. At Freewebs believes that the greatest and most powerful ideas have been expressed on a page. The more they can transform what can live on a page the more powerful and impactful everyone’s ideas can be expressed.